Craft Organization and Storage, How I found Space! YES! Craft organization...but in a coat closet? Many of us just don't have an extra room to call our dedicated craft room, but that shouldn't stop our productivity. Sure enough, a lack of organization can do just that. 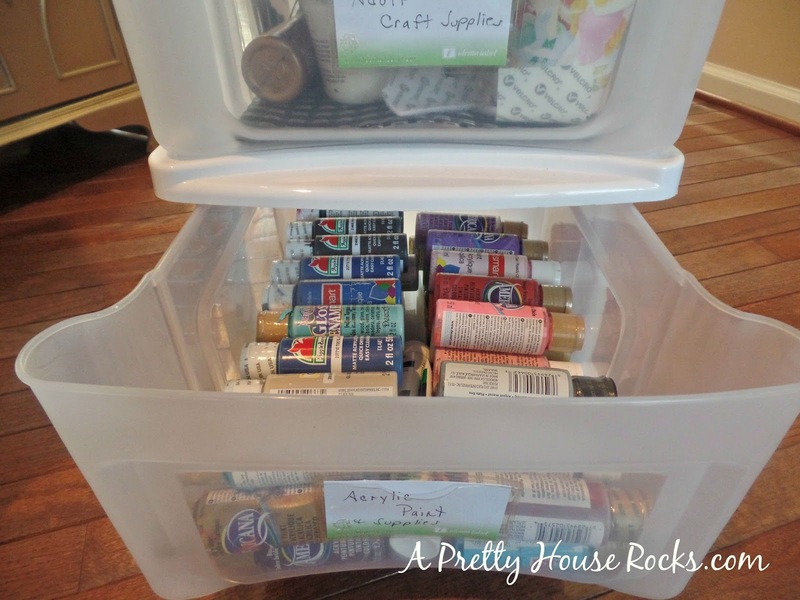 I've grown tired of using one of my kitchen cabinets and other random places for craft storage. I was also tired of going to the garage to retrieve my hot glue gun. 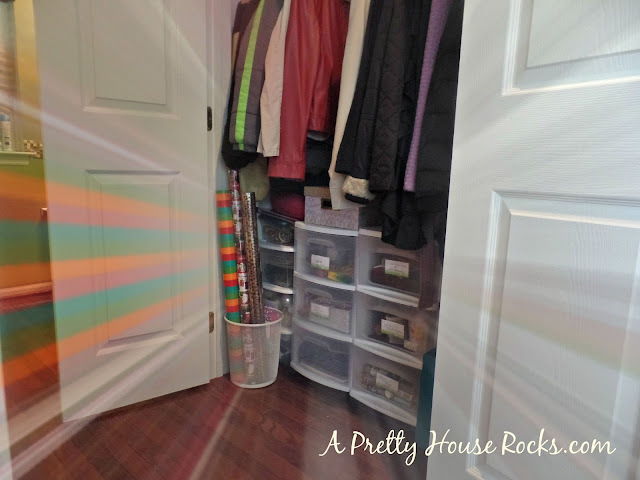 So I pondered areas in my home to create the storage I needed, and settled on my coat closet. This waste of space was the perfect answer. This has been a huge life saver for me. I purchased two 3-drawer plastic storage containers from Kmart, and labeled them with Indenta-Label Storage labels. No it's not the Martha Stewart Craft table and drawers that I've always dreamed of, but it makes my life so much easier. 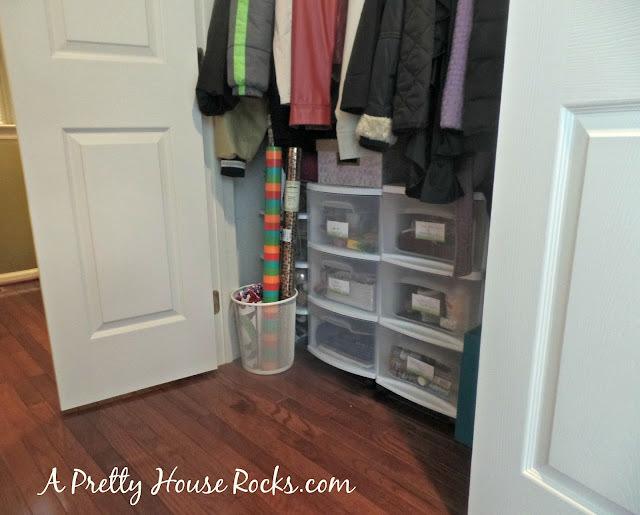 I don't have to search my home for various craft items...I just check the coat closet! For instance, when one of my kids has a class project that requires some crafting...I just roll these bad boys to our kitchen table. 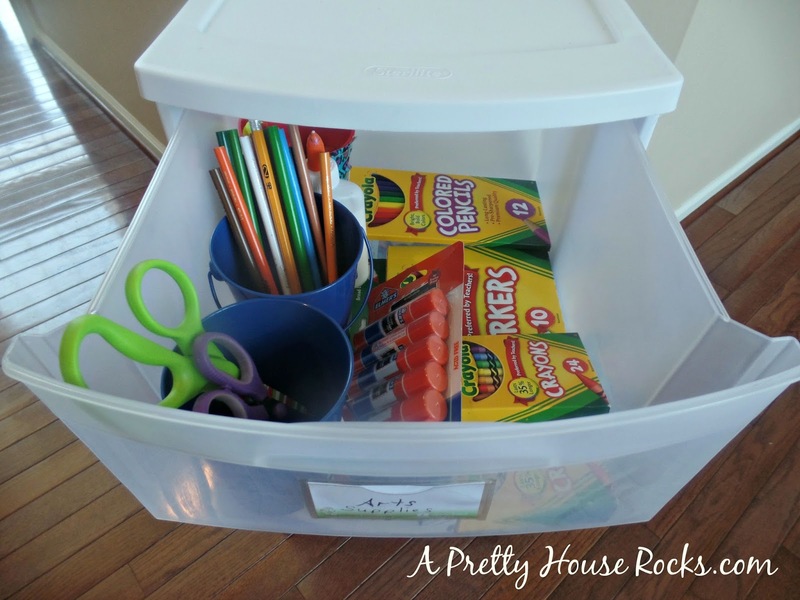 I keep those extra crayons and colored pencils in a drawer so that my kids are always prepared. I swear my daughter's crayons in her room are always either broken or have disappeared! 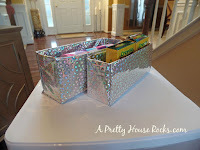 I cut bottom half of cereal boxes and wrapped then in cheap wrapping paper as DIY storage boxes. 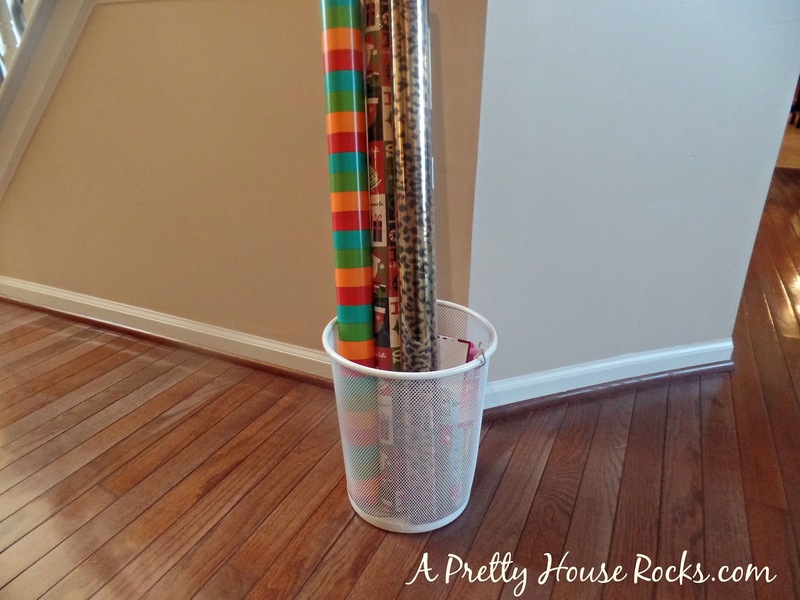 I used a Dollar Store Waste Basket to store wrapping paper and gift bags. These drawers are the perfect spot to store my acrylic paints and supplies. I just roll out this storage bin whenever I feel a painting project coming on! 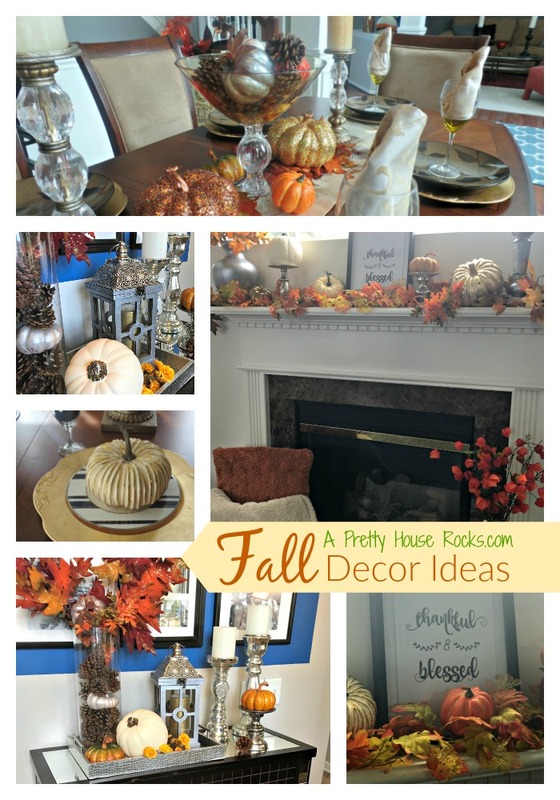 There's always a way to improve your home organization and decor, even when you don't have a lot of space or a huge budget, all you need is an idea. 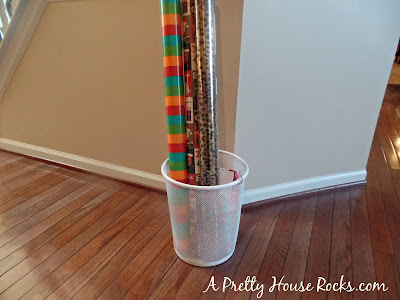 Thanks for visiting A Pretty House Rocks.com! 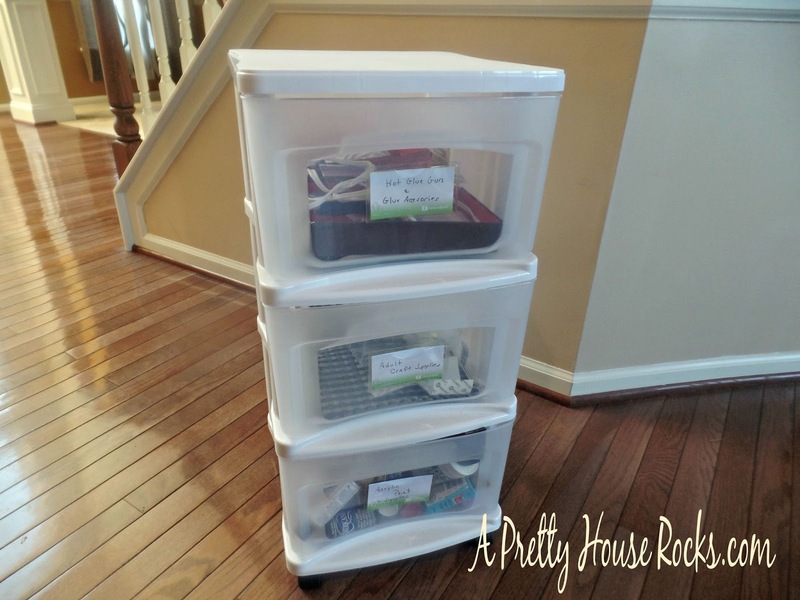 Honestly, it's not that hard to find storage space in your home if you are determined to get your things neat and tidy. You just have to be practical and to throw out the things that you're not using anymore. Out with the old and in with the new and all that! Great results! Great compatibility! Super in everything! Calling them have been a splendid experience and have provided amazing results as well! Recommended for all wind mitigation inspection port st lucie!